1Not all sales at MSRP 2Not available with special finance or lease offers. Take delivery by 04-30-2019. 3Monthly payment is $13.89 for every $1,000 you finance. Example down payment: 8.5%. Must finance with GM Financial. Some customers may not qualify. Not available with lease and some other offers. Take new retail delivery by 4/30/2019. See dealer for details. Finance for $173 per month at 3.99% APR for 72 months with $1,410 down payment. Payment expires on 04/30/19. Estimated Finance payment based upon 3.99% APR for 72 months, with a down payment of $1,410. Excludes title, taxes, registration, and license fees. Some customers will not qualify. See your authorized dealer for complete details on this and other offers. Residency restrictions may apply. Lease for $247/month for 39 months with $1,410 due at signing including $0 Security Deposit and 10,000 miles per year. Payment expires on 04/30/19. Estimated Lease payment based on 39 months and $1,410 due at lease signing. Cash due at signing includes $513 capitalization cost reduction, which includes $650 acquisition fee, plus a required security deposit of $0, and first month's lease payment of $247. Excludes title, taxes, registration, and license fees. Total monthly payments equal $10,788. Mileage charge of $0.25 per mile over 10,000 miles. Not all consumers will qualify. Residency restrictions may apply. Finance for $175 per month at 3.99% APR for 72 months with $1,425 down payment. Payment expires on 04/30/19. Estimated Finance payment based upon 3.99% APR for 72 months, with a down payment of $1,425. Excludes title, taxes, registration, and license fees. Some customers will not qualify. See your authorized dealer for complete details on this and other offers. Residency restrictions may apply. Lease for $250/month for 39 months with $1,425 due at signing including $0 Security Deposit and 10,000 miles per year. Payment expires on 04/30/19. Estimated Lease payment based on 39 months and $1,425 due at lease signing. Cash due at signing includes $525 capitalization cost reduction, which includes $650 acquisition fee, plus a required security deposit of $0, and first month's lease payment of $250. Excludes title, taxes, registration, and license fees. Total monthly payments equal $10,914. Mileage charge of $0.25 per mile over 10,000 miles. Not all consumers will qualify. Residency restrictions may apply. Finance for $189 per month at 3.99% APR for 72 months with $1,520 down payment. Payment expires on 04/30/19. Estimated Finance payment based upon 3.99% APR for 72 months, with a down payment of $1,520. Excludes title, taxes, registration, and license fees. Some customers will not qualify. See your authorized dealer for complete details on this and other offers. Residency restrictions may apply. Lease for $258/month for 39 months with $1,520 due at signing including $0 Security Deposit and 10,000 miles per year. Payment expires on 04/30/19. Estimated Lease payment based on 39 months and $1,520 due at lease signing. Cash due at signing includes $612 capitalization cost reduction, which includes $650 acquisition fee, plus a required security deposit of $0, and first month's lease payment of $258. Excludes title, taxes, registration, and license fees. Total monthly payments equal $11,306. Mileage charge of $0.25 per mile over 10,000 miles. Not all consumers will qualify. Residency restrictions may apply. Finance for $197 per month at 3.99% APR for 72 months with $1,574 down payment. Payment expires on 04/30/19. Estimated Finance payment based upon 3.99% APR for 72 months, with a down payment of $1,574. Excludes title, taxes, registration, and license fees. Some customers will not qualify. See your authorized dealer for complete details on this and other offers. Residency restrictions may apply. Lease for $268/month for 39 months with $1,574 due at signing including $0 Security Deposit and 10,000 miles per year. Payment expires on 04/30/19. Estimated Lease payment based on 39 months and $1,574 due at lease signing. Cash due at signing includes $657 capitalization cost reduction, which includes $650 acquisition fee, plus a required security deposit of $0, and first month's lease payment of $268. Excludes title, taxes, registration, and license fees. Total monthly payments equal $11,751. Mileage charge of $0.25 per mile over 10,000 miles. Not all consumers will qualify. Residency restrictions may apply. 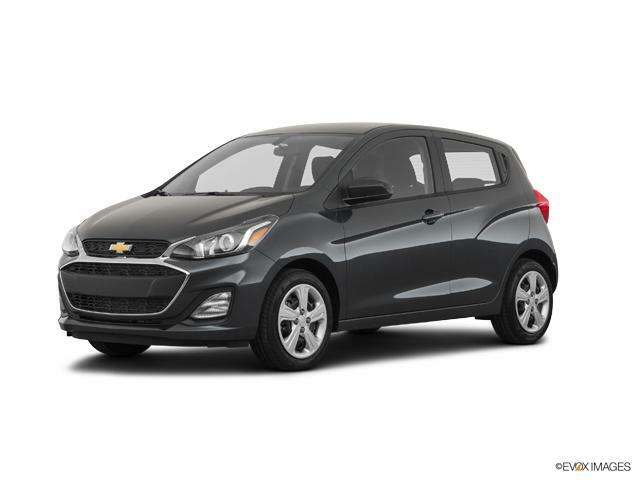 Explore the new Chevrolet Spark at our dealership, All American Chevrolet of Killeen, near Fort Hood and Temple. The inside of this automobile is visually attractive and provides quite a few options to raise your driving experience. The exterior of the Chevrolet Spark has a stylish appearance and it’s guaranteed to grab a great deal of interest. Decent legroom and good cargo space offers more value to this small car. If music is what you like, explore the Chevrolet MyLink, one of the several highlight infotainment options that the Chevrolet Spark features. 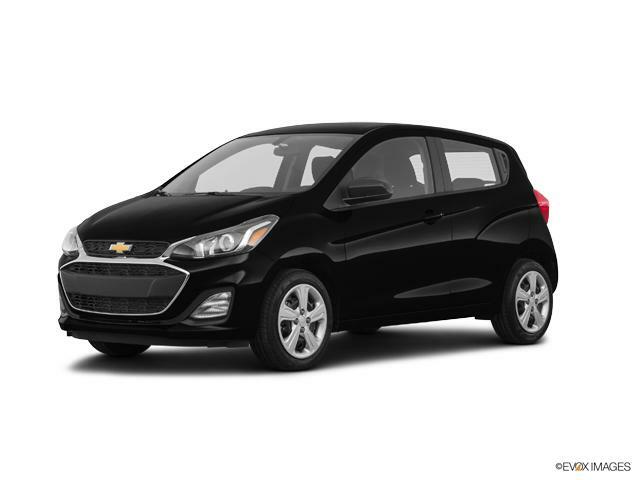 See above for more details, or contact us at 254-247-3557, to learn more about buying or leasing a new Chevrolet Spark in Killeen.